You know how it is on a Saturday when you haven't really planned what to eat for lunch? Then suddenly you find that everyone is at home and looking expectantly for you to come up with something tasty for them to enjoy. Well that's what happened to me last Saturday. What could I make? What did I have in the larder and fridge? Slice up the garlic bread and place in a buttered oven proof dish. Thickly slice the tomatoes and layer over the bread. Cover with 2 tablespoons of pesto. Beat the eggs and add the milk, pour it over the bread and tomatoes. Season with freshly ground pepper and cover with the grated cheese. Tear up a few basil leaves and scatter over the top. 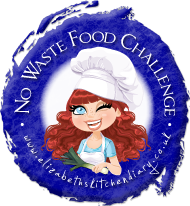 This is the ideal dish for the No Waste Food Challenge run by Elizabeth's Kitchen. Thanks Sammie, it is a savoury b&b pudding, works really well. I find Saturday lunches are exactly the same in my house. I never really plan them and only thing about what to eat as it gets to late morning. This is a really tasty way of using up things left in the fridge. Glad it's not just me, Corina! This reminds me of Ready Steady Cook or a Masterchef challenge - you did a great job too! Very interesting idea with the eggs too. What a gorgeous recipe - proper, ooey gooey comfort food! I don't think I'd be able to stop at just one piece! Thank you for sharing with the No Waste Food Challenge! Hahahaha. How very creative Janice. My Saturday moment ended with courgette flatbreads. utter genius!... The Viking would LOVE this. I am stealing this idea! Thanks Tracy, I've made savoury bread and butter puds before, you can throw pretty much anything in there. Always a pleasure to join you in using up those leftover bits and pieces! That sounds good Bintu, I take it you have a bit of a glut of courgettes? Steal away darling, I very much doubt if I'm the first to have done this. This is so funny - it's very like a posh version of the first ever thing I was taught to cook...sliced bread, tomato, cheese (no pesto and white sliced bread). We called it 'a little supper' and I cooked it for my mum every weekend for a month apparently! You are right Fiona. 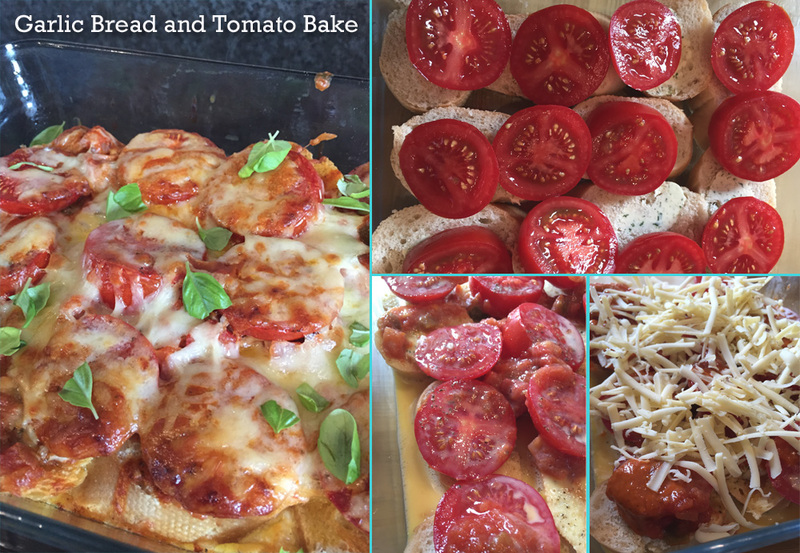 I've made it before but not with garlic bread, all the best ideas endure and are reinvented! This looks absolutely divine, so simple and easy but perfect with salad! Fantastic, it's the super quick type of meal that CT is likely to put together and I am very happy to eat. Quite possibly Helen, although I haven't tried that as I don't grow my own tomatoes.